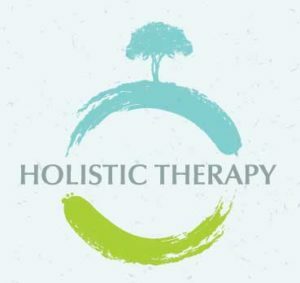 What Types of Therapeutic Approaches Do I Use? Einstein is reputed to have said, “We cannot solve our problems with the same thinking that created them.” Based on my doctoral research and professional experience, I know that positive change requires the use of the whole self. Another way to say that is that positive change involves the so-called left brain faculties of observation, rational thinking and analysis as well as the so-called right brain faculties of bodily sensing, imagination, and intuitive knowing. By utilizing the strengths of our more familiar cognitive processes and also tapping into the complementary wisdom of the body, emotions and senses, you can achieve integrated and lasting healing and change. Focusing is a process of bringing compassionate awareness to your body’s inner sensations called “felt senses.” A major premise of Focusing is that your body is a living, growing organism that knows your unique right direction forward in your life. When listened to with openness and acceptance, this bodily awareness can reveal more about a situation than your conscious, thinking and conceptualizing mind knows. This broadened awareness can enable you to create new solutions to long-standing problems and to find fresh paths forward that you can whole heartedly embrace and commit to. You can learn more about Focusing here. Focusing-Oriented Therapy (FOT) is an evidence-based practice. A growing body of research demonstrates the efficacy of Focusing-Oriented Therapy to alleviate a number of conditions, including depression, anxiety, chronic pain, negative body attitudes, panic disorder, dissociation, eating disorders, adjustment difficulties, and others. IFS is a powerful therapeutic approach developed by Dr. Richard Schwartz at the Center for Self Leadership. The IFS model recognizes that every human being has a healthy core Self that possesses many strengths, including perspective, confidence, compassion, and acceptance. We also have an inner system of multiple parts of the psyche, all of which are attempting to serve our best interests.However, these parts sometimes conflict with one another or use extreme measures that may be dysfunctional for the entire person. By bringing compassionate awareness to this inner system, we can bring our parts into harmony and achieve a more whole, healthy and satisfying life. IFS has been recognized as an evidence-based practice in the National Registry for Evidence-based Programs and Practices maintained by the U.S. Substance Abuse and Mental Health Services Administration (SAMHSA). As a clinical treatment, IFS has been rated effective for improving general functioning and well-being and has been rated as a promising treatment with positive effects on mind (depression, anxiety), body (physical health conditions), and spirit (personal resilience and self-concept). IFS can help clients to overcome fears, resolve action blocks, make difficult decisions, and generally achieve high levels of self-compassion and understanding. Development of new value-driven behaviors that move the client towards, not away from, his or her goals. ACT grew out of my own experience with panic disorder and treating other clients with anxiety problems. I’d been trained as a cognitive behavioral therapist. But when I realized that cognitive behavioral therapy (CBT) wasn’t helping me deal with my own problems with anxiety, I returned to some of the more Eastern ideas that had appealed to me earlier in my life. If you either avoid something or fight and argue with it, you give it power. Instead, I began to see how to apply meditative and mindfulness practices to my anxious thoughts and feelings about myself. I added the idea of examining a person’s deepest values as a guide to determining the direction of change. It’s not enough to focus on what you don’t want to experience. If I don’t focus on my symptoms, what do I want to be doing with my life? That’s where the role of commitment came into ACT. The American Psychological Association has deemed ACT an empirically validated treatment for depression and chronic pain. The US Substance Abuse and Mental Health Services Administration (SAMHSA) has listed ACT as an evidence-based treatment for psychosis, work site stress, obsessive compulsive disorder, and depression.